A woman homeopathy doctor, who was harassed by the management of a medical college for years under several pretexts has been awarded a compensation of Rs 5 lakh in a ruling by the HC on Saturday. 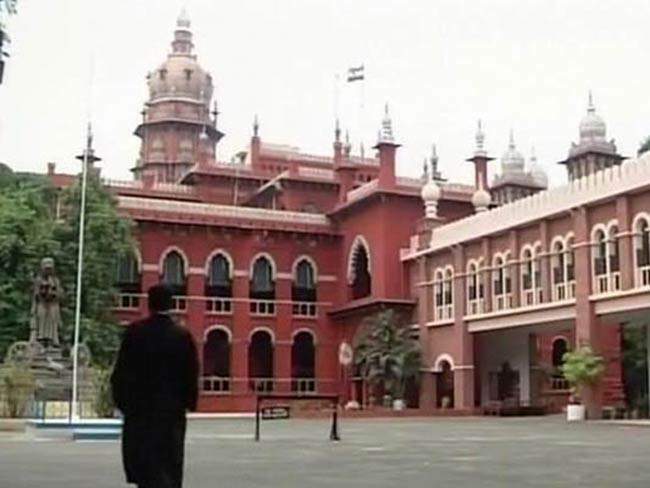 CHENNAI: A woman homeopathy doctor, who was harassed by the management of a medical college for years under one pretext or the other and forced her to approach the High Court every time, has been awarded a compensation of Rs 5 lakh. A division bench of Justices K K Sasidharan and M V Muralidharan on Friday directed the management of Venkateshwara Homeopathy College in Mount-Poonamallee to shell out Rs 5 lakh for harassing the woman doctor. Dr. V Kamalam joined the 5-1/2 year Bachelor of Homeopathic Medicine and Surgery course (BHMS). She passed her final examination in August 2008 and received her provisional certificate on October 20, 2008. During her internship, the college introduced a dress code stating that the students should wear only sarees. Her request to wear Salwar Kameez was not considered favourably. Since the appellant attended duty with Salwar Kameez, she was denied training from November 11, 2008. She moved the High Court with a writ petition for a direction to forbear the college from imposing the dress code and the court on June 30, 2009, allowed her plea. The college, thereafter, permitted her to attend the internship. She continued her internship from July 16, 2009. Even after completion, she was not given the provisional certificate and other necessary certificates and hence, she could not apply for registration for commencing practice. She moved the High Court with another writ petition for a direction to issue a provisional certificate and to grant her seniority in the registration of BHMS with effect from the date of completion of the internship. During the pendency of the writ petition, the college issued the provisional certificate and Compulsory Rotatory Internship Certificate, nine months after completion of the course. Thereafter, the appellant met the Principal for the issuance of her Transfer Certificate. The TC was issued after much persuasion. But the college authorities deliberately omitted to mention the conduct and character and other particulars in the certificate. Kamalam approached the court again for the third time with a writ petition in 2012. And a single judge, disbelieving the submission of the college, pointed out that against column No.14, in respect of student’s conduct and character, it was not left blank, but on the contrary, a dash was found. Drawing an adverse inference against the college management, the judge awarded Rs 25,000/ – as cost, as against the claim of Rs 30 lakh. Even though a prayer was made to direct the University and the Medical Council to conduct an enquiry into the matter, no such direction was given by the judge. Hence, the present appeal. Allowing it, the bench observed that Kamalam was forced to engage in a series of litigation against the mighty management of the medical college. The management tried its level best to delay the internship and issuance of necessary certificates.